Drug traffickers are making deals through the mail. Scott MacFarlane reveals a new surge of local cases and how innocent homeowners might end up at risk. Federal agents have asked to seize more than 100 mail parcels in the Washington, D.C.-area since October, suspecting each was being used by drug traffickers to ship narcotics, the News4 I-Team learned in an investigation into illegal mail shipments of marijuana. The cases are a fraction of a nationwide surge in drug deals conducted through the U.S. Postal Service and are only some of the 2,000 cases opened by the U.S. Postal Inspection Service. The distribution of drugs by mail is a federal crime, which crosses state lines. It is investigated by federal agents with the U.S. Postal Inspection Service, including investigators who review packages at the major postal facility in Linthicum Heights, Maryland. Federal auditors report almost 35,000 pounds of marijuana was seized from U.S. Postal Service parcels in 2015. Drug distributors exploit the parcel service to traffic drugs as a way to avoid detection from police departments. Traffickers attempt to minimize their own handling of the narcotics, U.S. Attorney for the Eastern District of Virginia Dana Boente said. Newly filed federal search warrants show similarities between the parcels suspected of being shipped with narcotics. The packages include “heavy taping,” feature addresses from states in which marijuana is legalized and often use the U.S. Postal Service’s “click and save” stickers, which investigators said are added to make illegal parcels appear to be legitimate business packages. A spokesman for the U.S. 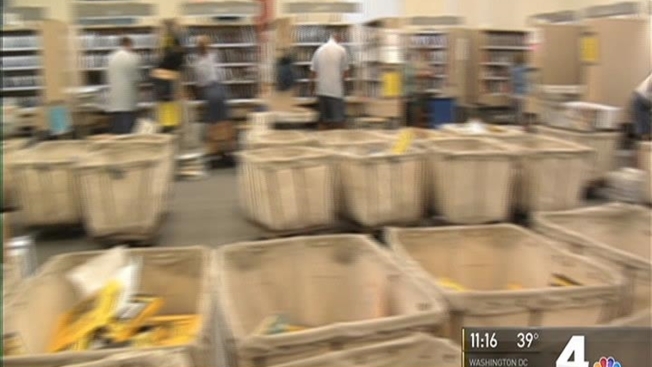 Postal Inspection Service declined I-Team requests for an interview about the local cases. “Removing narcotics and other harmful substances from the nation’s mailstream is an important part of our strategy that involves safeguarding nearly 32,000 facilities and approximately 625,000 career and non-career employees,” a statement from the spokesman said. The parcels are a safety risk to the public, former Maryland State Police narcotics investigator Neill Franklin said. The parcels are often shipped to “decoy” homes, which sit in close proximity to the homes of the intended recipients. Traffickers prefer to use and pick up parcels from neighboring addresses to reduce their risk of exposure, Franklin said, creating a risk of drug packages being opened by children or others unaware of the actual contents. Investigations into distribution of narcotics through mail are limited and likely represent only a fraction of the actual trafficking, Franklin said.